Completely white labelled. Fair prices. Pay for what you use. Advanced cloud based solution to offer you efficiency and high availaibility. Accessible from anywhere without any special hardware required. 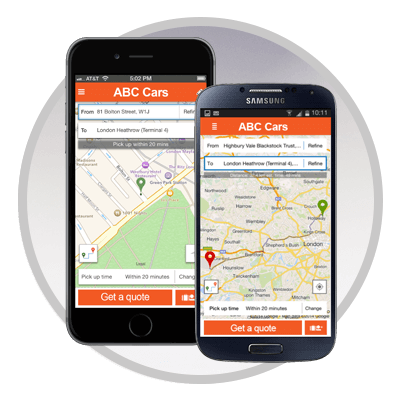 Our first class iPhone and Android apps are designed to not only suit your needs, but your customers. 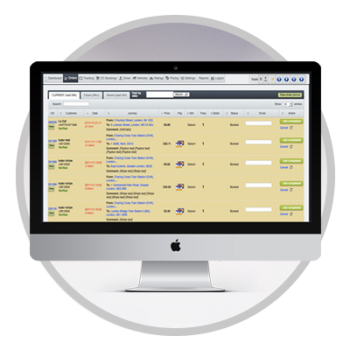 Get real time bookings straight into your system and allow your customers to receive instant quotes. Cash? Card? You choose. 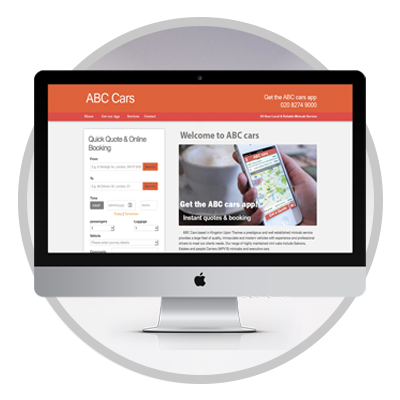 Add another dimension to your website with our Web Booker and offer instant live quotes to your customers. Choice of vehicles, pre-defined points of interestes, choices of payment types and much more. Create your own platform with companies you want to work with. Cover larger area, offer more reliable supply, apply companies prices or platform ones. Save on management and marketing costs. Thanks to their features and scalability, our products will be your best choice from creating your company to managing several companies in different countries.